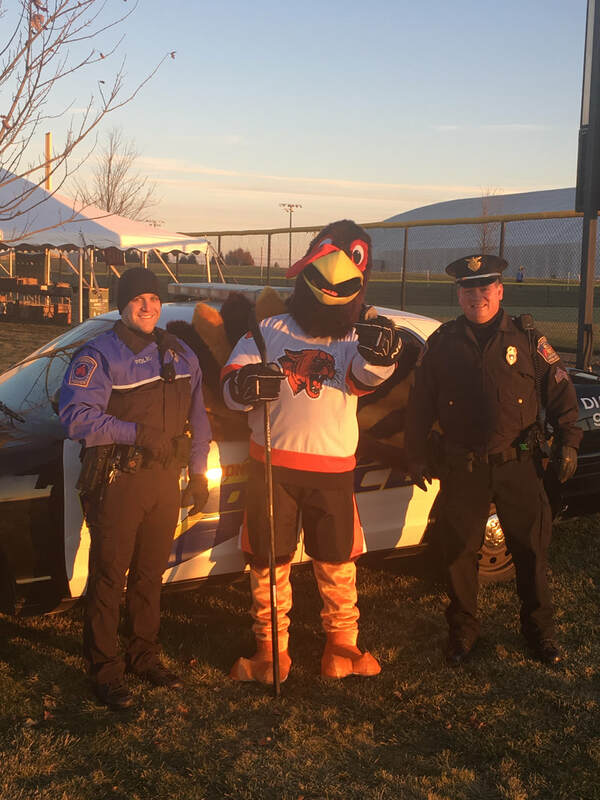 OPERATION 'FILL A CRUISER' 2018 HAS CONCLUDED. We sincerely thank all those who helped us Fill A Cruiser. 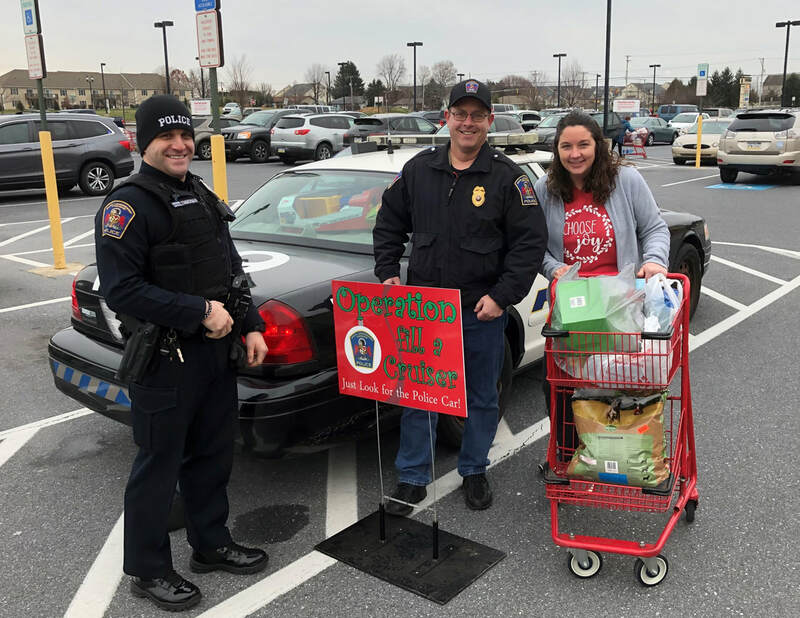 Through the generous donations received, we were able to help over 100 children (and over one dozen adults) in Lebanon County this year. 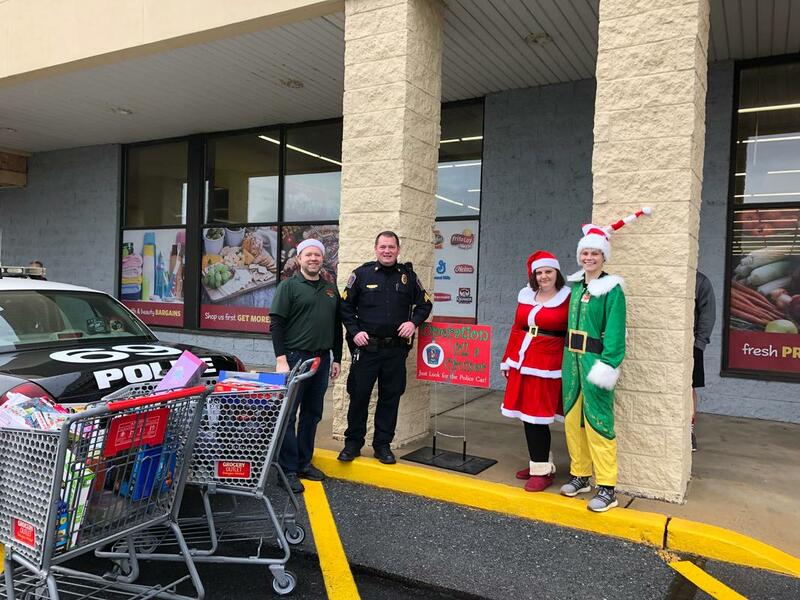 Our 5th Year of Operation 'Fill a Cruiser' has concluded. Please see below for information about this program. 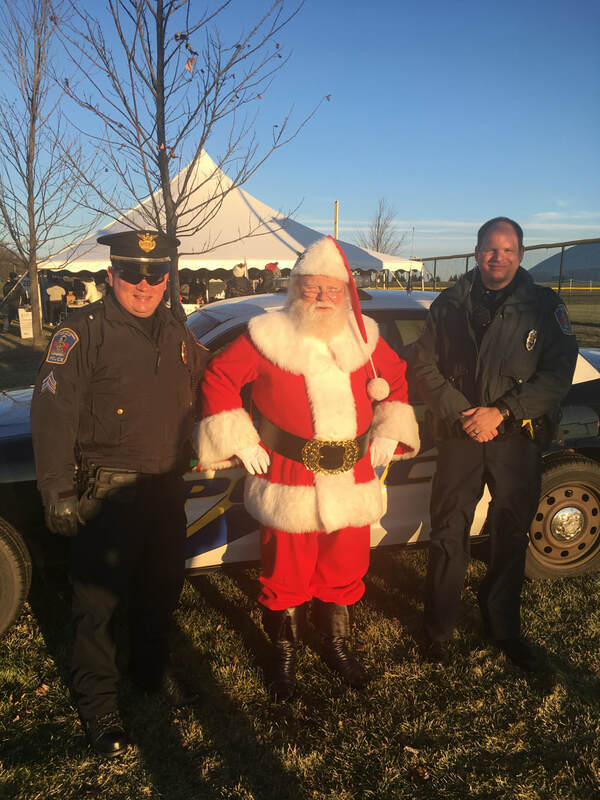 Off-duty South Londonderry Officers will be stationed at the listed locations and will collect donated gifts/food from the Community. In addition to needs known to the Officers, we will be working in cooperation with area Churches. We are hoping to help the community, help their neighbors. The gifts and proceeds generated from the donations will be distributed throughout the Palmyra, Annville, and Lebanon Communities. We are very pleased to say that through the communities effort and generosity, we were able to help many children and families. Toys must be brand new and unwrapped (in their original packaging). Gift cards are also accepted. Once collected, toys will not be returned. Officers at the collection sites may turn away a toy if it is deemed unsafe or not suitable. In the event more toys are collected above and beyond what is needed, they will either be retained for future distribution or may be donated to a partner organization for distribution. Food must be factory packaged and non-perishable. Officers at the collections sites may turn away food items that do not meet criteria. 2018 was a busy year with people generously donating food, clothing, and toys. 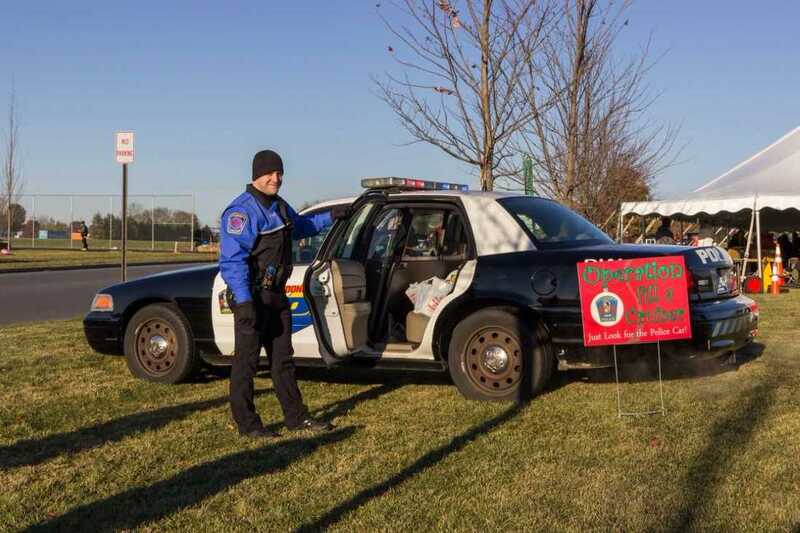 Thank you to everyone that helped us 'Fill a Cruiser' this year! After much deliberation, this Turkey was granted a pardon. We found a Turkey looking for a 'pardon' on Thanksgiving. Thanks Justin! 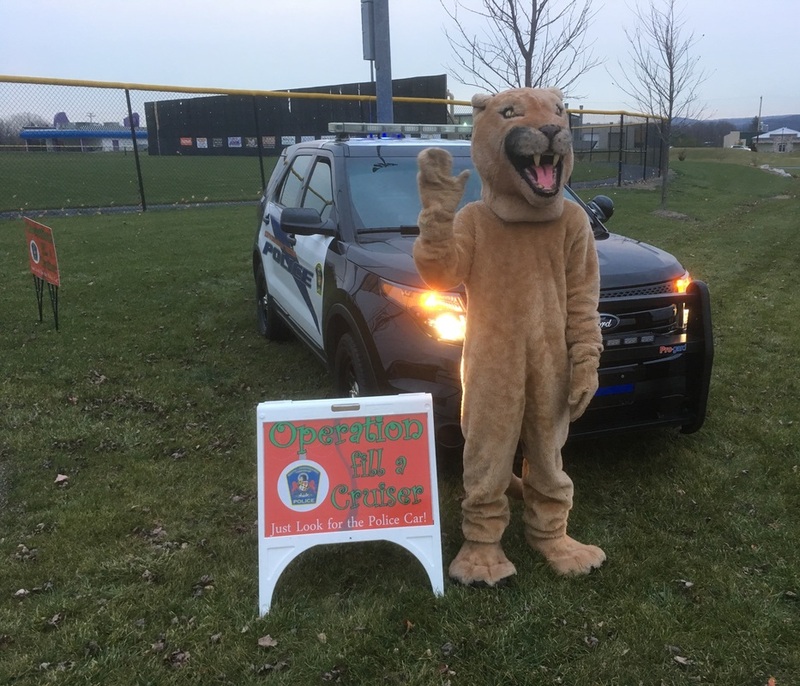 The Palmyra Cougar showed up to say hello. Some of the Palmyra Swim Team stopped by.